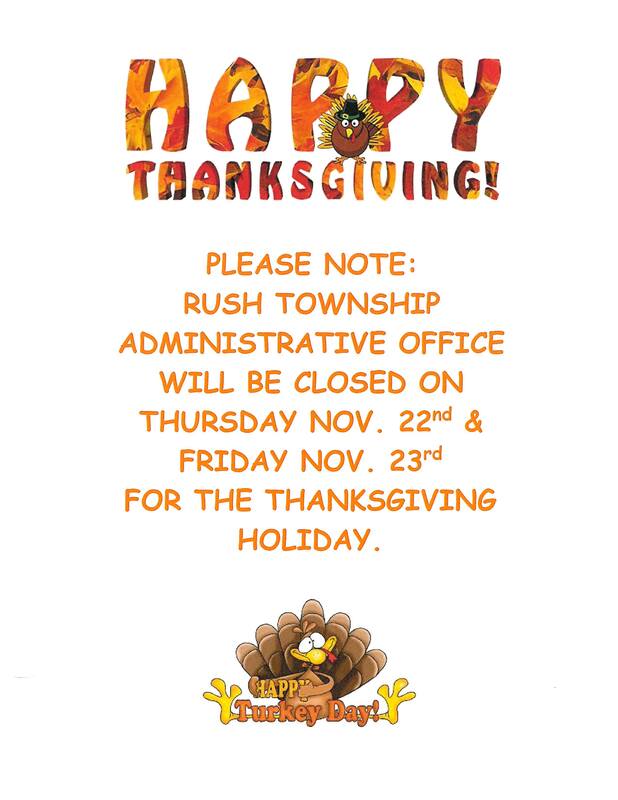 The Rush Township Administrative Office will be closed on Thursday, November 22nd and Friday, November 23rd for the Thanksgiving Holiday. We will reopen at 8:00 a.m. on Monday, November 26th. Have a safe and Happy Thanksgiving.